Catch Someone Doing Something Nice! Santa loves to hear good news. And everyone loves it when Santa can hear something nice about them. Now you can help bring those two things together by participating in Operation Be Nice — a special effort to recognize those people who go out of their way to be nice to others. 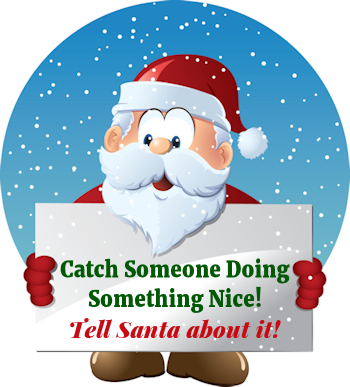 It’s really simple: just keep your eye on those around you and when you see them doing something extra special, just tell Santa about it! What is the name of the person who did something nice?